Talk about taking your sweet time. It has been seven long years since Berliner Markus Popp last released an album’s worth of material, a collaborative effort with Japanese singer Eriko Toyada under the So moniker, and just months shy of a decade since his last full-length effort as Oval. At risk of sounding like a grumpy old man, this writer remembers the five year gap between the two Stone Roses albums causing major uproar; and although Portishead have since doubled that “achievement”, to those of us with little to no musical ability it still seems indulgent for any active band to spend more than a couple of years coming up with new material. In this case, however, it appears the delay may have been intentional: Popp has expressed a desire to create a “second debut”, scrapping the processes that had made his output so immediately recognisable in order to start again from scratch. 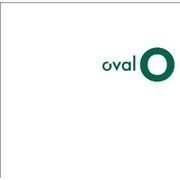 O, the fourth Oval album to be released on the ever-reliable Thrill Jockey label, delivers on that promise, and in spades. A double album featuring an astounding 70 tracks, the running time alone almost justifies the record’s immense gestation period; even more so if you consider the limited edition Oh! E.P. released in June as a precursor. It’s like waiting hours for a bus and then two (and a half) coming along at once. Thankfully, Popp hasn’t sacrificed quality for the sake of quantity, instead serving up a lavish sonic feast; with the E.P.as an entrée, O’s two discs make for a tasty main course and dessert. Fans of the “old” Oval – the three-piece project that eventually turned into Popp’s solo venture – will know that they pioneered the “glitch” sound back in the early 90s by sampling and processing the noises made by damaged CDs into the skipping rhythm tracks that are now present in so many forms of electronic music. In a way, this “new start” utilises similar ideas, only this time Popp has manipulated sounds made by instruments he has played himself, mainly guitars and other stringed instruments, including what sounds like an autoharp. Using finger-picked riffs, harmonics, open-tuned strumming and feedback as a basis, Popp has cut up, overdubbed and played around with these noises to create something more akin to the soundtrack to an art-house film than the ambient techno grooves of his earliest work. O’s two discs are set apart stylistically by the presence on the first of live drums, played again with surprising skill and panache by Popp himself. With the rhythms dictated mainly by the sounds of harmonic pops and strings crashing against each other, the drums act instead as a rolling undercurrent, churning away in the background in a manner reminiscent of Tortoise’s John McEntire or Rashid Ali’s stickwork with John Coltrane, and lending the tracks a distinctly jazzy feel. The second disc forgoes traditional rhythm altogether, containing fifty miniature pieces that flow together as an hour-long ambient set, not dissimilar to past electo-acoustic explorations like Ovalprocess. It’s a clever two-in-one deal; a pair of albums to suit different moods, incorporating something more familiar to reward the patient faithful, and a clever way to break up what could be a somewhat overwhelming listening experience. Whilst it’s true O focuses for the first time on musicianship rather than technical wizardry, the album’s sound owes as much to familiar production tricks as it does to the new ingredients. Like fellow veterans Autechre, Popp seems to delight in creating noises that sound like the results of some explosive scientific experiment. Feedback hums gently, building the tension, until a plucked string reverberates into infinity; guitar chords are pitch-shifted until they resemble elastic bands snapping back into shape. Harmonics ring out and collide, spinning away from each other until they find something else to bounce off. That Popp is able to work these elements into anything remotely rhythmic is testament to his programming skills; that the end result is so endlessly engaging and listenable is miraculous. “New start” or not, O is a work of vibrant and often brutal beauty that proves good things really do come to those who wait.